More information about seasonal allergies, food allergies, and eosinophilic esophagitis can be found at the following links: SEASONAL ALLERGIES, FOOD ALLERGIES, and EOSINOPHILIC ESOPHAGITIS. Below are other common conditions treated at the Devora Center. Asthma symptoms include wheezing and shortness of breath. During your visit for asthma, Dr. Devora will perform a thorough history and physical exam. Pulmonary function testing (breathing test) will be done to objectively evaluate lung function. Younger children might not be able to effectively coordinate their breathing for accurate testing. 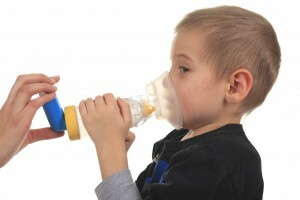 Asthma treatment includes a variety of different inhalers. Dr. Devora will start you on a treatment regimen best suited for your particular needs. Did you know that people can outgrow penicillin allergies? 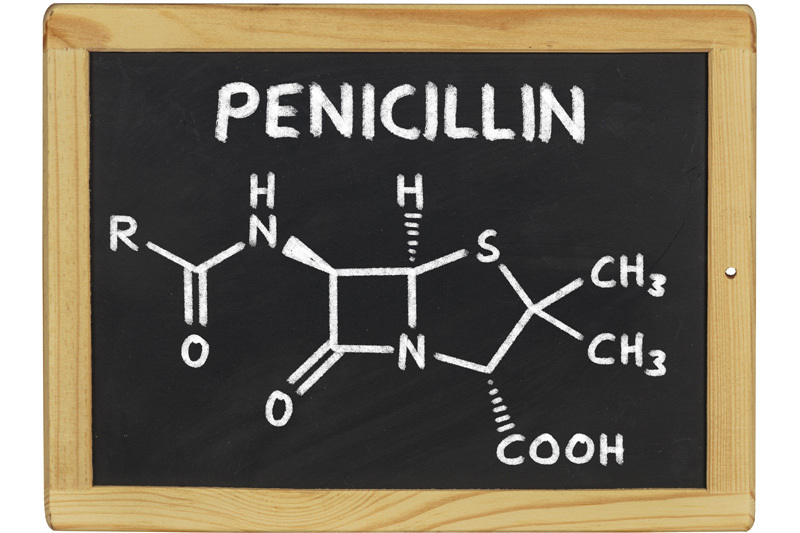 People who were diagnosed with penicillin allergy as a child often outgrow the allergy in 10 years. Allergy testing is safe and can be used to evaluate whether or not you are truly allergic to penicillin. Removing penicillins from your allergy list opens up a broad range of antibiotics that are useful for the treatment of a variety of common infections. Testing for other drug allergies is also possible using standard literature-based protocols. 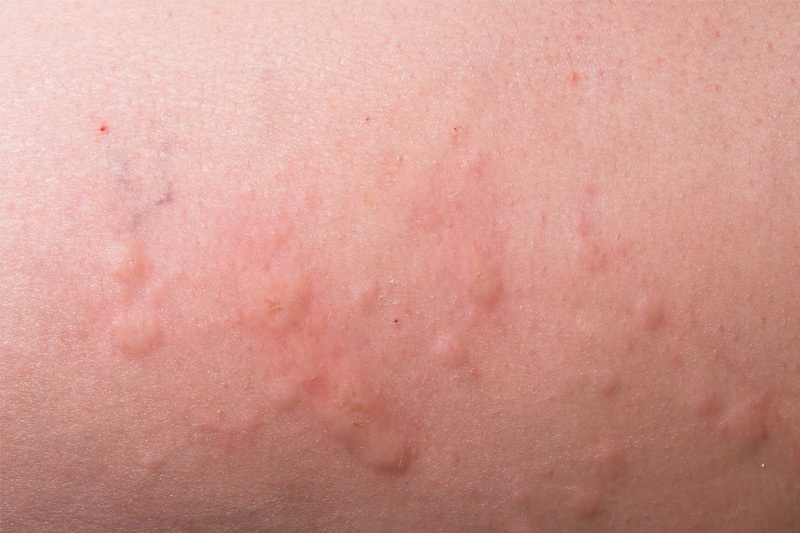 Hives (urticaria) are red, raised itchy bumps that can develop over any area of the body. Sometimes they might be related to an allergic reaction to a food, medication, or other allergens. Most of the time, no clear trigger is found. This is called idiopathic urticaria and most patients seen in allergy clinics fall under this category. Extensive allergy testing and laboratory studies is often unnecessary in patients with idiopathic urticaria, and the hives often disappear as suddenly as they first started. Interestingly, stress can play a role in hives. Eczema is known as “the itch that rashes”. The more you scratch, the worse the rash becomes. Treatment included antihistamines and topical steroids. Patients with atopic dermatitis often have food triggers that make their eczema worse. Eliminating the food from the diet can help prevent flares. Allergy skin testing is sometimes used to evaluate atopic dermatitis. Contact dermatitis is an itchy rash that develops after your skin comes into contact with certain allergens. A poison ivy rash is an example of contact dermatitis. Contact allergens include chemicals found in common household products, such as soaps, laundry detergents, lotions, jewelry, etc. Patients can sometimes develop an allergy to products they have used for many years. Evaluation for contact dermatitis includes allergy patch testing, which involves placing patches containing common contact allergens on a patient’s back. This is a multi-day procedure. Does your skin develop itchy, red, raised streaks when you scratch it? 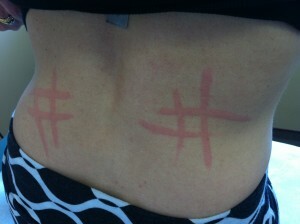 This is called dermatographia, which translates to “skin writing”. It is a type of physical urticaria related to hives. It is caused by the release of histamine into the skin via mechanical stimulation. Most patients respond well to prophylactic antihistamines. The diagnosis is made by scratching the skin and noting the characteristic red, raised streaks that develop over the scratched area. Does your throat of mouth itch when you eat certain foods? This is often related to oral allergy syndrome. Melons, banana, kiwi, and apples are among the more common foods that cause symptoms. Oral allergy syndrome is also known as pollen-food syndrome because there is known cross reactivity between the trigger foods and certain pollens. For example, patients with oral allergy to melons are often sensitive to ragweed pollen. Fortunately, oral allergy syndrome rarely progresses to more severe reactions. The diagnosis is made by history.